Scotland is renowned for its hospitality and friendly locals. 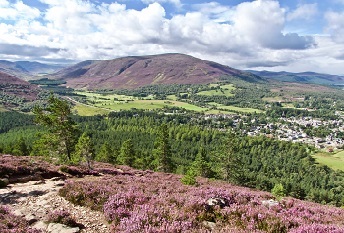 Braemar, in the heart of the Cairngorms National Park, is the ideal base for exploring this unique and breath-taking landscape. 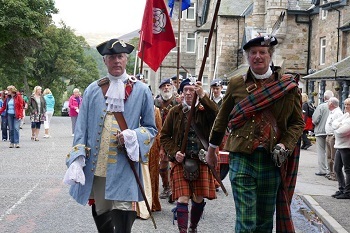 It’s the perfect environment to relax and unwind, choose the challenge and adventure of the high tops or dip into history and culture with a guided local history walk, visit to the Braemar Games Park or to St Margaret’s. Try a bike ride or the chairlift, go fishing or wildlife watching or just wander and enjoy the independent shops, cafes and restaurants Braemar village has a variety of accommodation from comfy bunkhouses, to friendly B&Bs or hotels and self-catering for longer stays. 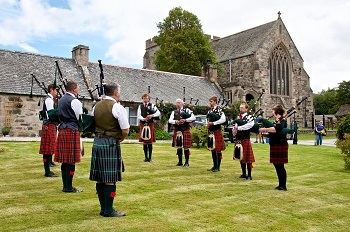 The village has its own website, Braemar Scotland where you can find your perfect Highland bolthole. Just arrived? Braemar's Visitor Information Centre will help you find a place to stay. The Visitor Information Centre is right in the center of the village, in the Mews. The Visitor Information Centre is also useful if you need to plan the next stage of your journey or holiday as they can make bookings for you throughout Scotland.